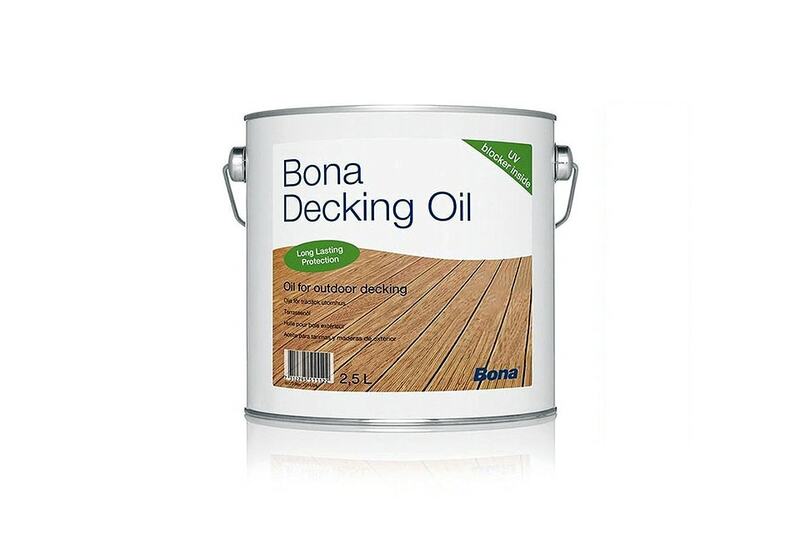 Bona Deck Oil is a hardening oil designed for the protection of exterior wooden deckings and furniture. It consists of a blend of natural pine and linseed oil and has been reinforced with UV-inhibiting additives to reduce the degrading effects from the sun. Bona Deck Oil’s easy fluent composition makes it easy to work with and ensures deep penetration and protection of the wood. Total consumption: Approx. 6-10 m²/litre per coat, depending on wood type and application. The surface which is to be coated must be sanded back to bare wood, dry and free from sanding dust, oil, wax and other contamination. A Bona Sanding Disc or Screen grit 100-120 should be used for the final sanding of the wood. Optimal application conditions are between 20-25C and 40-60% relative air humidity. High temperatures and low humidity shorten drying time, low temperatures and high humidity lengthen the drying time. Minimum temperature for use is 13C.